Monday morning was meant to be the first day of spring football practice at Mesquite (Texas) High School. Instead, a group of grieving high school athletes gathered in the hour before classes were scheduled to begin, mourning the loss of one of their very own, who lost his life in a police shooting. 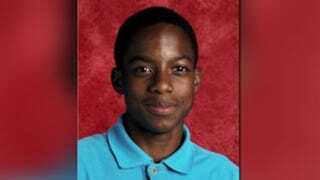 According to the Washington Post, members of the high school’s football teams wept and prayed before walking across the athletic field house toward the family of Jordan Edwards, offering hugs as they went. Jordan, a 15-year-old freshman team player and honor roll student, was shot in the head by police Saturday night while leaving a party in Balch Springs, Texas. Balch Springs Police Chief Jonathan Haber said it appeared the car Jordan had been traveling in was moving away from police when the officer fatally shot him, retracting an earlier statement that the car Jordan was in was “backing down the street toward officers in an aggressive manner”—a claim that was initially used as a reason to justify the shooting. The other teens in the car with Jordan, including Jordan’s 16-year-old brother, who was driving, were unarmed, were not drinking and were not charged with any crimes. In a Monday-afternoon news conference, Haber said that he “misspoke” in earlier comments about the shooting, stating that the vehicle was moving away from officers when one of the officers—who has still not been identified—discharged his weapon. Jordan’s death has since been ruled a homicide, though it remains to be seen exactly what action will be taken. “We are declaring war on bad policing,” S. Lee Merritt, the attorney for Jordan’s family, said at a news conference Monday with Jordan’s parents, Charmaine and Odell Edwards. “This has happened far too often. We are tired of making the same rhetorical demands and having the same hashtags. Our community is fed up. The Mesquite Independent School District released a statement about Jordan on Monday, saying that he “was a good student who was very well-liked by his teachers, coaches and his fellow students. “The entire district—especially the staff and students of Mesquite High School—are mourning this terrible loss,” it continued. Read more at the Washington Post and WFAA.